Summary: Curiosity remains on Vera Rubin Ridge, though it has begun moving toward the point where it will move down off the ridge. 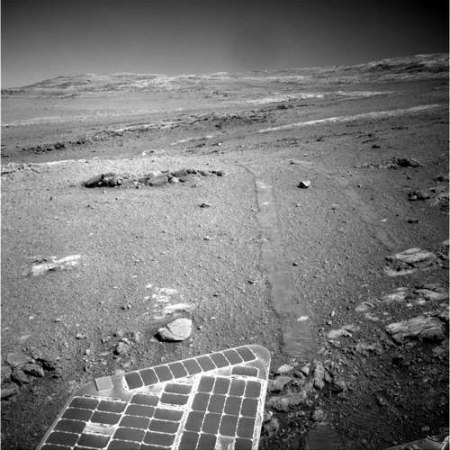 Opportunity remains in Perseverance Valley, though it has finally taken the north fork down. Before providing today’s update, I have decided it is time to provide links to all previous updates, in chronological order. This will allow my new readers to catch up and have a better understanding of where each rover is, where each is heading, and what fascinating things they have seen in the past year and a half. Mars rover update: September 6, 2016. The first update including Opportunity. Mars rover update: September 13, 2016. The first official update. Now to talk about the most recent news from both rovers! 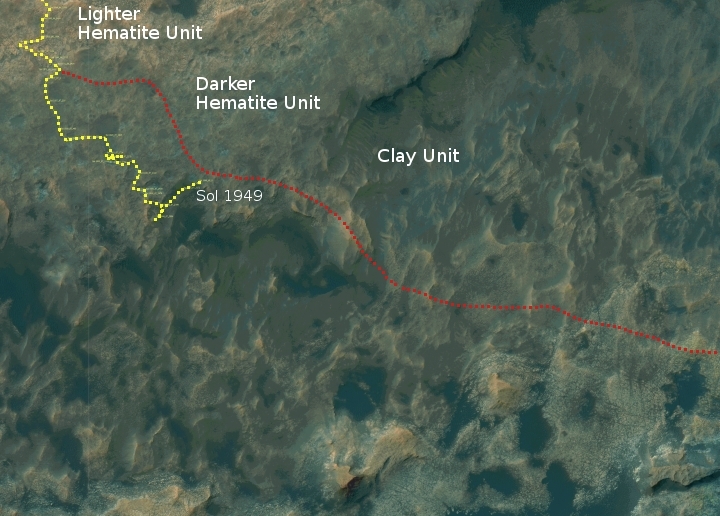 In the past few weeks the Curiosity science team has begun moving the rover eastward, back towards its planned route off of Vera Rubin Ridge, which is geologically dubbed the Hematite Unit. The image below, cropped, reduced, and annotated from the full orbiter traverse map, shows its actual path (yellow dotted line) compared to my rough estimate of the planned route (red dotted line), based on this October 3, 2016 press release. The detour occurred because the team wanted to get some close looks at some lighter patches of ground, as seen in the orbit images. Today, they issued a press release, noting some of the strange crystal features spotted in these patches. 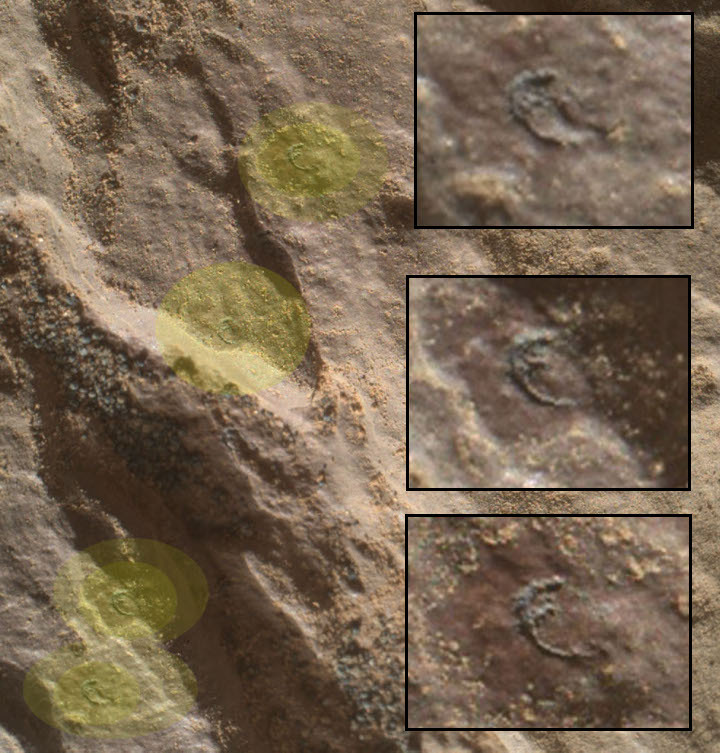 During the last two weeks a number of amateur observers who like to daily check out Curiosity’s raw images, including regular reader and contributor Phil Veerkamp, noticed some strange fossil-like features in one image. Below is that image, with four of the features highlighted in yellow and three shown in close-up insets to the right. That the features are all in a line also strengthen the science team’s conclusions. The strange shape, which doesn’t really resemble other ChemCam shots, might tell us something about the geology, or the laser itself, though Roger Wiens, ChemCam’s principle investigator, emailed me to say that the laser is in fine shape and these shapes suggest no problems. 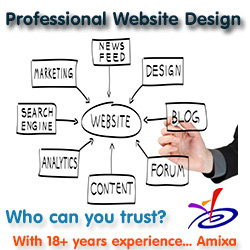 Such features are a warning to amateurs: Don’t jump to conclusions. Sometimes what seems exotic is merely pedestrian, and a little digging will uncover that fact. In its upcoming journey, Curiosity moves downhill off of Vera Rubin Ridge, and out into the clay unit, heading towards a canyon and the far rougher terrain leading uphill onto Mount Sharp, as shown by the image below, taken on Sol 1949. I expect the landscape images coming from the rover in the next few months should be quite exciting. Opportunity’s travels at the moment remain limited because it is winter and the rover can only store so much power. When they move the rover they do so in small increments, aimed at finding good locations where its solar panels will be angled well for more sunlight. 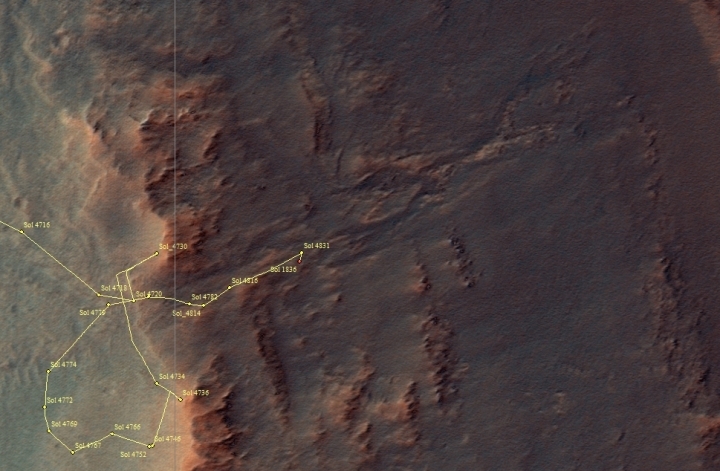 Since July Opportunity has been working its way downhill in Perseverance Valley, a gully that in orbital images looks like it could have been formed from either water flow, ice flow, or wind. Though close-up images of the ground actually appear to resemble slickenslides, features that on Earth suggest ice erosion, the science team so far seems to favor wind. In December they were considering whether to take a north or south fork, heading downhill, as shown in the traverse image on the right above. In January they decided to take the north fork, and began working the rover into it. 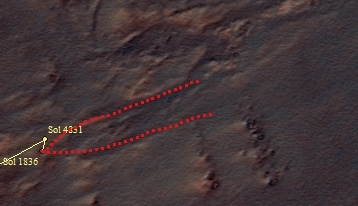 The image to the right looks uphill to the west at the rover’s tracks. You can see where it turned north and then headed downhill. Eventually, they plan to move the rover out onto the floor of Endeavour Crater, to the east. Whether will do this directly from Perseverance Valley, or continue working south along the rim before doing so, is as yet unclear. Before that decision has to be made, however, they still have a lot to explore in the valley, especially as they move east and north into the outlet flows shown in the upper right corner of the larger traverse map, above. Ironic that in the AGW debate it’s the amateurs who have had to give that same warning to the scientists.